PR experts help a company or individual acquire a positive status with the public through several unpaid or paid communications, including social media, traditional media, and in-person meetings. They also help clients maintain their status during a change that threatens their credibility. A PR specialist drafts a specific communication system and uses media and other indirect and direct means to create and sustain a positive brand image and a strong connection with the target audience. The primary objective of PR is to keep positive fame of the business and maintain a vital relationship with the people, proposed customers, partners, investors, workers, and other stakeholders which drives to a positive image of the business and makes it seem fair, prosperous, meaningful, and relevant. It is the process of making people interested in your company’s product or service. This follows through market research, investigation, and understanding your ideal customer’s concerns. Marketing concerns to all features of a business, including product development, delivery methods, sales, and promotion. It is a management method through which products and services run from concept to the customer. It involves a description of a product, preparing demand, deciding on its value, and selecting distribution ways. It also includes forming and implementing a promotional strategy. Both public relations and marketing went through such exciting growth and development during the first half of the 20th century that at least one business recorder has referred to this time as their “teenage years.” They both encountered unexpected growth jets and, as they gained growing influence in the business world, they tested with new approaches and often flexed their muscles as they adapted to what they were growing and tried to throw a positive and bold self-image. As marketing and public relations developed their spheres of movements and as they became more determined in interacting with more and more and ever-larger publics, they usually ended up talking to the same public, and they sometimes used the same methods to do it. But, even when their efforts seemed to be similar to outsiders such as the absorbing public, the practitioners themselves identified that their two systems were conceptually very different. Marketing usually includes promotional, direct marketing and advertisement which queries to return direct sales; whereas PR is centered on reputation management through making positive media coverage and stakeholder information. The goals for marketing companies are to reach consumers and make them consider, believe or do some sales directed action. Mostly it is about selling the product or service. Whereas public relations are about trading the company or brand through confidently managing the connection channels between a company and its stakeholders. 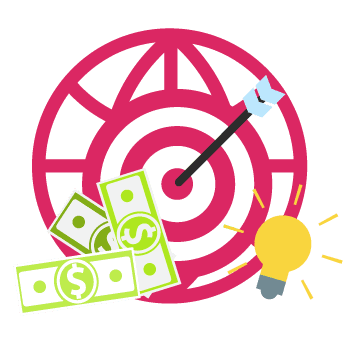 Overall, marketing actions are working to achieve direct income, while PR is trying to drive a positive credit through an effective PR strategy. Marketing is a nearly short term action, whereas PR gets its benefits over a more extended period. While marketing attempts to drive instant, real sales success, the advantages of a PR program can be observed as a long term expense that a company would know for future achievements. Marketing tries to reach current and possible customers, whereas public relations are all about maintaining accurate connections with anyone who has an interest in the business or brand. This includes a broader audience across consumers and media, to employees and stockholders. Marketing is usually described as a business investment – promotional activities and paid branding with new customers being the ROI. Whereas PR is labeled as free publicity for increasing reliability around a company’s image. 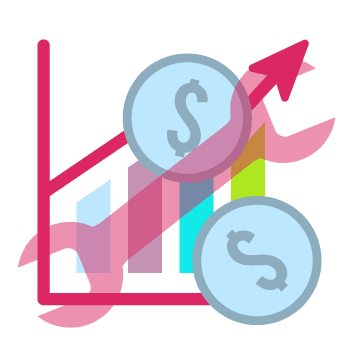 It is more challenging to estimate ROI for PR negotiating than it is for marketing because it’s difficult to show a change in opinion or views, as opposed to direct sales. Consumers subconsciously view messages delivered through PR channels such as studies, conference speakers or popular bloggers as more reliable than those presented through marketing tactics. Usually, people can recognize that marketing and advertising are inspired by a company’s ambition to increase profits. Though, articles that have a reputable journalist’s name on them, or performances by someone listed as an industry specialist are more likely to be accepted by the consumer as a trustworthy source. Both marketing and PR experts measure the progress of their operations after their implementation. Though, marketing and public relations plans use different parameters to measure their growth. A successful marketing operation would be one that met sales objects and ended in profit and high ROI. Public relations pros determine success through the respectively helpful links they’ve built with the significant public. Both marketing and public relations industries assist in achieving a company’s objects and fulfilling its mission. Understanding the differences between the two helps businesses make their approaches, better directing them at separate target audiences with focus and outcomes in mind. Savvy marketing and public relations experts should combine marketing and PR into their plans to achieve organizational success. 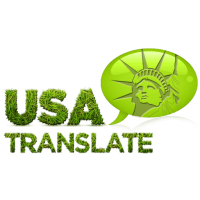 USA Translate provides the expertise and resources to build a winning PR and marketing campaign for your company. Contact us and learn how to get loads of benefits from your relationship with your PR and marketing firm.